If you are looking for a unique experience while you are in the San Diego area, you will not want to miss the San Diego Model Railroad Museum. This museum features many types of model trains with scenery and motion, and at the same time promotes the railroad history of San Diego. 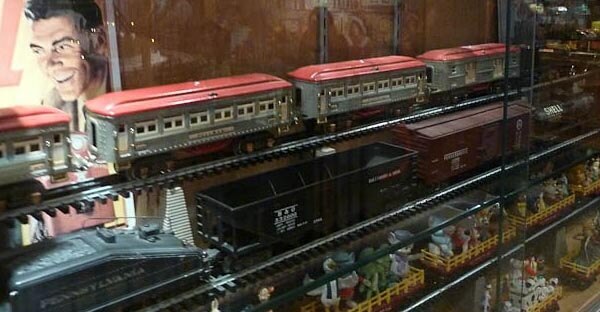 The train layouts in the museum feature the San Diego and Arizona Eastern, the Pacific Desert Lines, and a Toy Train Gallery that features 3-rail Lionel and Brio interactive train displays. Special events at the museum include a summer camp for children, special photography exhibits, model train swap meets, and a Circus Week presentation that features circus trains. The summer camp is for children in 1st grade through 8th grade. They each get their own boxcar and helps with building scenery layouts, designing crafts and art, and they are given the opportunity to ride on a train or trolley. Schools are encouraged to visit the museum and groups can watch a train safety presentation and participate in a guided tour of the museum. If you are looking for that perfect place for a birthday party, you will find it at the San Diego Model Railroad Museum. Birthday parties are available in two packages to choose from and both include all day access to the museum. One place you will not want to pass up when you are at the museum is the gift shop. You will find so many unique items from books about particular railroads to their huge inventory of videos, computer games, and audio CDs. You can find how-to videos about designing your own model railroad, discover works of art and choose from railroad-themed jewelry and clothing. The San Diego Model Railroad Museum is the complete package for a lifetime of memories for visitors of all ages and is definitely one place you will not want to miss when you are in San Diego! Last updated by Jennifer Carlyle on 10 November, 2012 in Destinations.